Child support is always subject to modification as long as the child is under eighteen (18) or is a destitute adult child, who has no means of subsistence and cannot be self-supporting due to mental or physical infirmity. 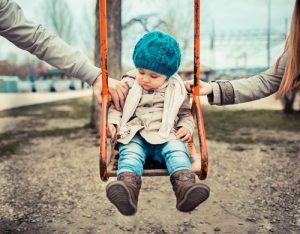 Keep in mind that child support may be modified retroactive to the date of filing of the motion that requests modification, but it may not be modified retroactive to a date prior to the filing of a motion. The threshold to any modification is to establish a material change in circumstances since the date of the last order. Material change can include, but is not limited to, changes in: income, needs of the child, the cost of health insurance, work-related daycare, alimony, custody, etc. The material change may occur with the payee, payor, child, or any combination thereof. In a modification, as with the initial order, the Court must use the Maryland Child Support Guidelines. Under the guidelines, there is a rebuttable presumption that the amount determined pursuant to the guidelines is the correct amount of child support to be awarded. A need for more money to cover the child’s expenses may be proven through bank account information and receipts for certain expenses. An illness or job loss from the child support payor could include medical records and proof of financial loss from bank and employment records. Overall, the scenarios are numerous, and life circumstances are almost guaranteed to change as time goes on. Keep in mind that existing child support orders may remain unchanged if there is insufficient evidence of a material change. For child support issues, you need a good legal team to help you through all the considerations. 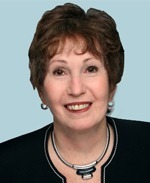 For those in Maryland, consider Linda Sorg Ostovitz, at Offit Kurman, P.A, as the leader of your experienced legal team for family law, divorce litigation, mediation and arbitration. Contact Linda Sorg Ostovitz to schedule a consultation at lostovitz@offitkurman.com or (301) 575-0381.